Vastu Shastra, the science of harmonization of space, was written before 1500 BC. However, it was given to humankind much earlier and initially was transmitted in oral form. Historians have suggested that Vastu Shastra developed between 6000 BC and 3000 BC, based on the archaeological sites of Harappa and Mohenjo-daro, which are built on the principles of Vastu Shastra. Feng-Shui came in to existence much later, in 500 BC, after the followers of Siddhartha Gautama founded Buddhism. Among other things, Vastu describes various aspects of the planets and their impact on buildings and the residents living and working within them. The planets exert a certain influence, which is as predictable and unchanging as the Laws of Nature. Vastu and Jotish (Vedic Astrology) mention nine planets: Sun, Moon, Mars, Mercury, Jupiter, Venus, Saturn, Rahu and Ketu, which regulate different aspects of our life including health, emotions, and thought patterns. 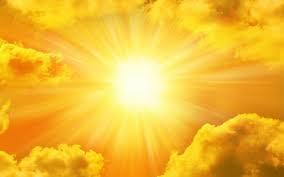 SUN – rules the eastern side of the house. Deity: Indra. Sphere of influence: health, charisma, career, power, vitality, longevity, name and fame, male energy. The Sun, the ruler of the planets, possesses the purifying energy of the masculine gender. It represents mind, spirit, and willpower. The sun rises in the east and the morning sunlight is very beneficial for the inhabitants. Therefore the Vastu Shastra recommends that doors and windows in the house should preferably face the eastern and northern directions. It is considered inauspicious if trees and other obstacles obstruct the morning sunlight from shining into the windows. The eastern sector is very important. Everything that is done in the east or faces the east is almost guaranteed to prosper. All issues related to career, external action, business, study, and influence will improve and flourish in this part of the house. The rooms in the eastern sector are good for prayers and meditations, it is the best place for an altar. Colors: dark yellow, orange, saffron, terracotta, brown, gold, metallic, shades of blue, and white. Light, bright, sheer colors are preferred. MOON – rules the Northwest part of the house. Deity: Vayu. Sphere of influence: relations, emotions, travel, movement, friends and family, female energy, changes, communication. 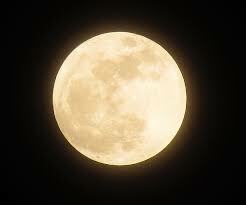 The Moon is considered a special female person, a carrier of maternal energy that gives life. It manages subconscious and intuitive activity and directs restoration and renewal. As the Sun is a symbol of the spirit, so the Moon is a symbol of feelings. It affects the part of our being that feels and perceives. The North-west is a light and bright sector, responsible for changes in our lives, for travel, for children and guests, and for vehicles and animals. If you desire changes pay attention to the north-west. Look what is placed there. How open and lit is the sector? Perhaps you should move this heavy cabinet to the South-west? If the North-West of your house is furnished according to Vastu, your fame and authority will increase and your relationships and communication will improve. Rooms that are controlled by the female energies of the Moon are especially favorable for the living and activities of women. The moon also manages bathrooms and reservoirs. Vastu Shastra teaches that the Moon influences the residents of the house through the bathroom – a place of purification and renewal. Colors: milky white, pearl, steel, silver, purple, green, pink, and light shades of blue. Avoid dark, dull tones, especially gray and black, as well as red flowers. MARS – rules the South. Deity: Yama. Sphere of influence: vitality, vigor, charisma, prosperity, research, technology, war. Mars is considered a symbol of battle and competition. It corresponds to the willful actions of a person, decisions and conquests, courage, determination, and impulsiveness. This red planet is associated with fire. Even though Mars is a volatile, destructive patron of wars, if harmonized, it protects the house from quarrels and disputes. Our relationship with Mars depends on our horoscope (which means our previous lives). 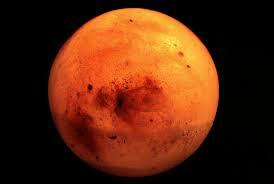 Mars can bring destruction and aggression to some people and vitality and welfare to the others. It is auspicious to plan the kitchen in the South (Mars) or the South-East (Venus). It is also an ideal position for the fireplace and the stove, as well for a home gym or a collection of swords. Mars, if neglected in the South, causes a number of problems and losses, while a harmonious Mars strengthens religiosity, truthfulness, discipline, and influence. Colors: shades of burgundy, red, coral, raspberry, wine. Avoid gray, brown, and blue. 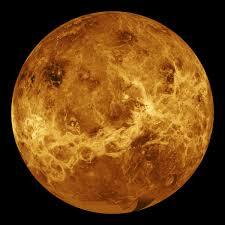 VENUS – rules the Southeast. Deity: Agni-Dev. Sphere of influence: beauty, luxury, comfort, women’s happiness and health, love, pleasure. Venus governs the sensual side of human nature: love, passion, beauty, eloquence, and the arts. This planet affects the dining room, the bedrooms, and the health of women in the home. The Southeast is the sector of feminine energy in the house. If you want to improve familial relationships you should harmonize this area. It is an ideal place for a kitchen or dining room. Colors: muted tones, varied (but subdued) colors, pink, silver, white, light blue. Avoid dark heavy tones, as well very bright ones. MERCURY – the strongest influence is in the North. Deity: Kubera. Sphere of influence: communication, relationships, study, intellect, finance, business, trade, guests, childhood. Mercury is the fastest planet and provides rapid change. One of the fastest things is human thought, therefore Mercury takes responsibility for intellectual activity. This planet is variable and restless, it likes lively conversations and discussions. The North is a sector of communication, relationships, business, finance, guests, intellect and studies. Do you remember what is in your northern sector? Disassemble the rubble there, clean it, add light and space. You can also put some water here. This will allow you to improve your business and attract or save money. 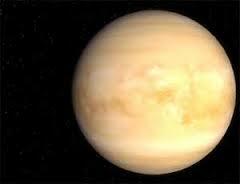 With a positive Vastu in the North, Mercury improves studying, business, sociability, and character features. Mercury is influenced by the state of hallways, the back and front yard, the house plants, and the porch. Colors: all shades of green, blue, gray, and brown. Avoid red, orange, and dark colors. JUPITER – has the greatest influence in the Northeast. Deity: Lord Shiva. Sphere of influence: spirituality, expansion of consciousness, realization, prosperity, luck, childhood, growth, care, and study. 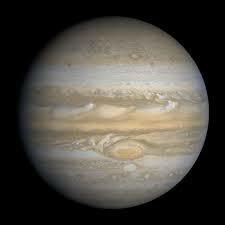 Jupiter, the largest planet, is associated with wisdom, knowledge, skill, training, jewelry, harmony, law, and religion. It casts out darkness and stimulates mental activity. The Northeast sector is considered one of the most important in the house. The head of Vastu-Purusha (the personality of the deity Vastu) resides in this sector. This area should be as open and as clean as possible. All positive energy flows through this part the house. It should always be clean with minimal furniture. A good Vastu in the Northeast strengthens our personality, brings forth respect, brings out our best features, and promotes spiritual growth. Activation of this sector will bring success. Traditionally, it is recommended to use the Northeast as a zone for meditation. A toilet located in this sector negatively affects the whole energy of the house. Color: all shades of yellow, cream, gold, and orange. Avoid dark tones, as well as red and purple. SATURN rules in the West. Deity: Varuna. Sphere of influence: wisdom, old age, study, self-control, and discipline. 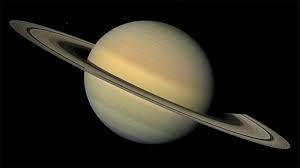 Saturn is the driving force of progress, which leads to the fulfillment of the mission of our life. Saturn is a planet of rules, norms, and limitations. This is the slowest and darkest planet, therefore it is believed that its zone of influence are all dark places of the house: cabinets, pantries, cellars, etc. A front door located in the West might lead to divorce, depression, uncontrolled sexuality, and the constant postponement of good deeds. On the other hand, if the Western sector is harmonious, Saturn will increase popularity, success in studying, and happiness. The Western sector requires the utmost respect. It should not be too open, but always clean and tidy. It is the best place to execute discipline and austerity. This sector is good for dining area, bathroom, and trash can. Colors: violet, blue, purple, lilac, black, dark cherry, brown. Too much of these colors, however, will increase the negative impact of Saturn. 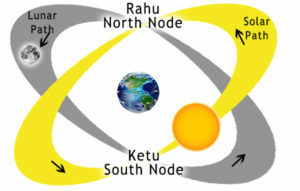 RAHU – KETU rule in the Southwest. Deity: Pitru/Nairutya. Sphere of impact: influence, security, old age, death, ancestors/forefathers, discipline. The South-west is a sector of gravity and closeness. Everything in the house that is heavy belongs in the south-western part of the home: a massive plant, a wardrobe, or a grandmother’s chest. If you want something to stay with you for a long time, put it in the Southwest area and it will never go away from you. This is an ideal place for a master bedroom. Large dark rooms, massive doors, and thick heavily curtains and blinds will be beneficial here. Colors: terracotta, brick, orange, brown, yellow, gold. TODAY’S TIP: The central part of your house or apartment (Brahma-stan) should remain open, bright, and free from furniture. Color – white. * The educational and informational content provided here is, in no way, shape, or form, to take the place of personalized care provided by a personal health care provider, and rather to be used in conjunction with such professional advice. The content provided by Ayurvedaplace is purely educational in nature about Ayurveda and various wellness topics, and is not meant to diagnose, treat, or prevent any disease. We make no claims or warranties to cure, treat, or prevent any disease or condition. Read full Disclaimer here.